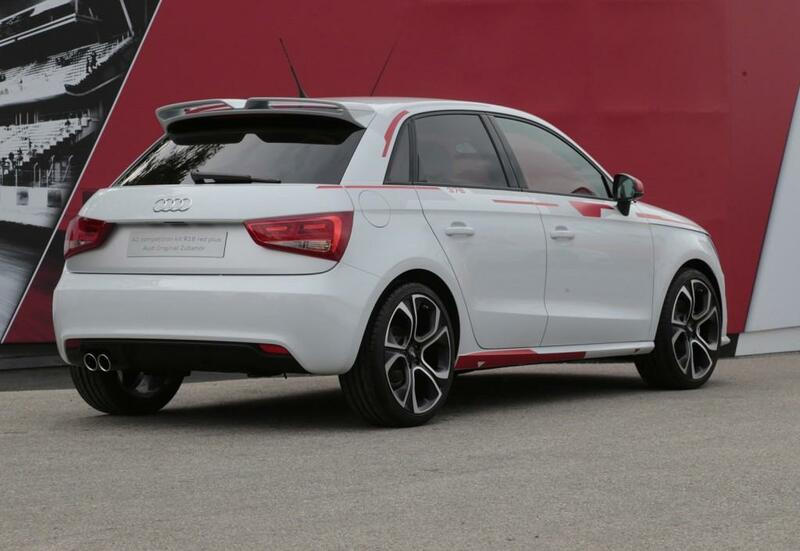 From the 503 hp Volkswagen Design Vision GTI to the racy SEAT Leon Cup Racer, we’ve seen some pretty amazing concept cars come out of the 2013 Worthersee festival, but none have been as unlikely as this Audi A1. That’s because Audi says this custom hatchback is inspired by the R18, it’s diesel Le Mans prototype racecar. The R18 is the reigning champion of the famous 24 Hours of Le Mans endurance race. It’s powered by a 3.7-liter turbodiesel V6 with 532 horsepower, or the same engine and an electric motor in the latest e-tron quattro version. So what does a purpose-built racer have in common with Audi’s cheapest production model? Not much, actually, but that didn’t stop Audi from trying to connect the two. The A1 that was unveiled at Worthersee has what Audi calls the “Competition Kit R18,” an accessories package that will be sold to customers. The kit, which is available in either red or gray, includes front and rear spoilers, new wheels, a redesigned center console, and a graphics package including the number “378,” representing the number of laps the winning R18 e-tron quattro completed at last year’s 24 Hours of Le Mans. The add-ons actually look pretty good on the A1, but the R18 connection is extremely pretentious. 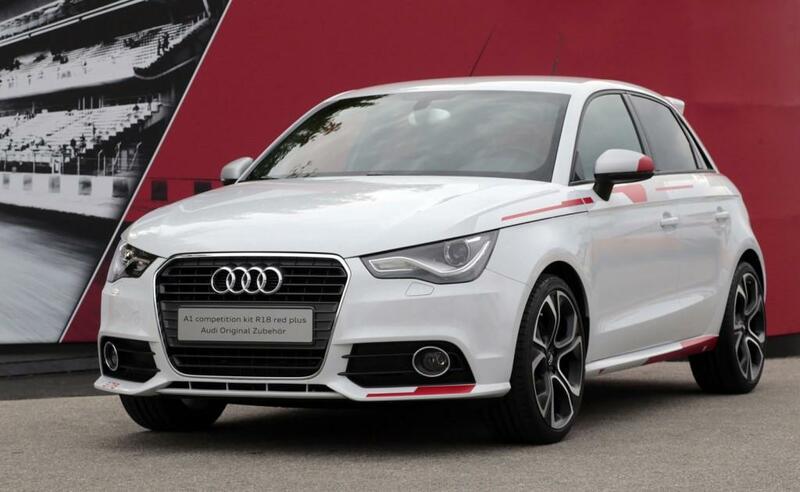 It’s clear that the only thing this hatchback has in common with the Le Mans racer is its four-ringed badge, so why bother? Carmakers like to cash in on their racing exploits, and sometimes the desire for increased sales overwhelms the need for taste. Just look at the Fiat Seicento Michael Schumacher, or the various Chevrolet Monte Carlos painted in the colors of Dale Earnhardts Sr. and Jr.
American buyers won’t have to worry about looking foolish behind the wheel of an A1 with “378” badges, because the littlest Audi isn’t sold here. When it comes to sporty Audis, Americans often miss out. When it comes to this creation, though, we’re probably better off being left out.